The holidays are just around the corner, and with them, the hustle and bustle that accompanies them each year. This year, wouldn’t it be nice to focus on your own home, adding some holiday cheer in the small details? Or maybe some big details, too. Whether you’re a veteran at holiday decorating or are new to this vast world, you’ll be sure to find some holiday decorating ideas and tips you hadn’t thought of here. Just remember, you can make your décor exactly as simple or complicated as you want it to be – just enjoy the process! Clip cards you receive to a string and hang them along your staircase – or across any wall if you don’t have stairs. 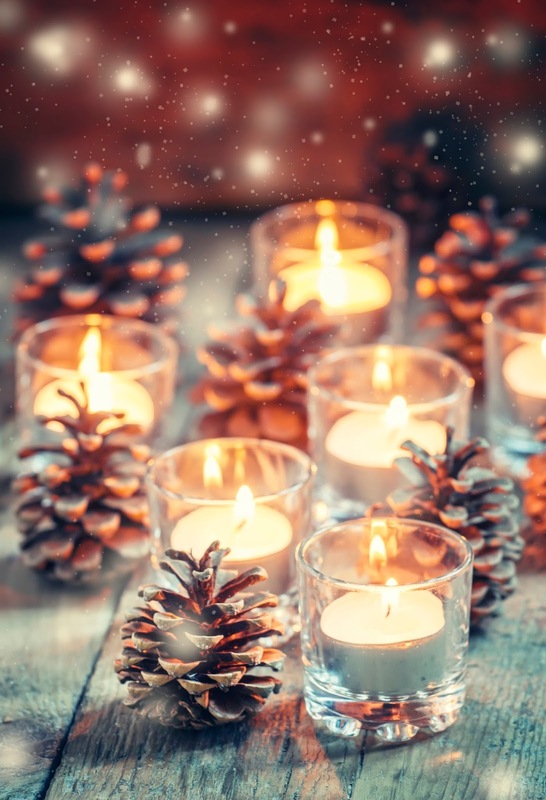 Place festive candles throughout your home. Whether they’re green, red, gold or white, light them in the evenings (or even by mid-afternoon this time of year) for a warm, welcoming ambiance. Deep windowsills or end tables are ideal – just be sure that any drapes or other materials don’t get too close and catch the flame. Make your own Advent calendar to count down the days until Christmas using a bulletin board and 24 envelopes. Be sure to put a special little something in each one! 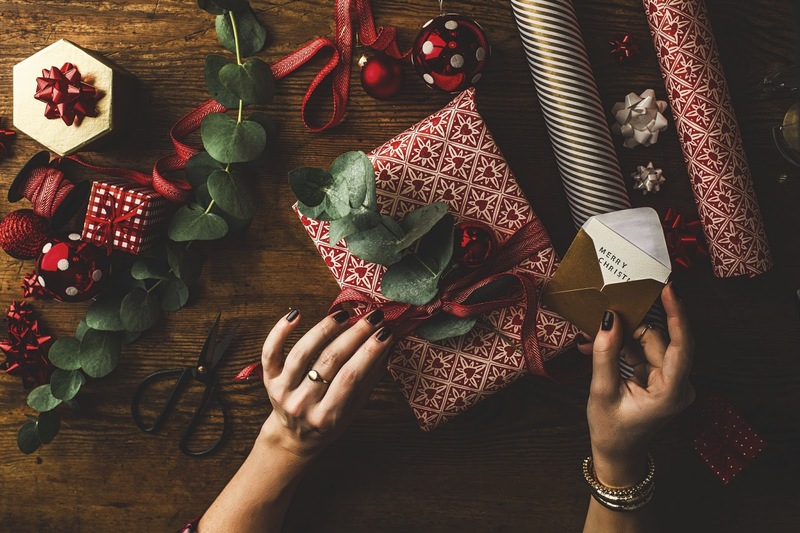 Add wrapped presents under the tree as you go – you’re going to be wrapping them anyway, so why not double their use as both a present for someone you love and a decoration for your house in the meantime? The trick is in the final touches – a gorgeous, bright ribbon, perhaps tucking a candy cane under the knot. Hang ornaments from strings in your front window for some simple holiday flair. Use glass vases or mason jars to light the path to your front door for guests on their way in. Just pour a thin layer of rock salt at the bottom of each vase or jar and place a tea candle inside for a gorgeous illumination guiding guests to your home. Or if it’s really cold out, replace the mason jars with ice lanterns to hold the candles. You can make your own ice lanterns by placing a plastic cup filled with rocks (or something to weigh it down inside of a larger plastic container. Fill the larger plastic container with water, and then freeze the whole thing overnight, either in your freezer or outside. You can even place berries or leaves in the water (before freezing) as decoration. To get the ice lanterns out of their containers, run warm water along the outside and viola – a pretty ice lantern! If you’re handy and have some extra plywood lying around, try sawing the wood into holiday decorations like evergreen trees to set up in your yard. Hang some frozen fruit ornaments from trees for your furry and feathered friends using a plate, string and your favorite holiday berries, oranges and greens. Illuminate your porch (or stoop) with some pretty birch log luminaries – just cut a birch log into a few pieces of varying heights, drill holes into one of the two flat sides (large enough to fit a tea candle), and you’ve got beautiful, natural candle holders. String cranberries to make a garland and wrap the garland around any greenery you have in planters. 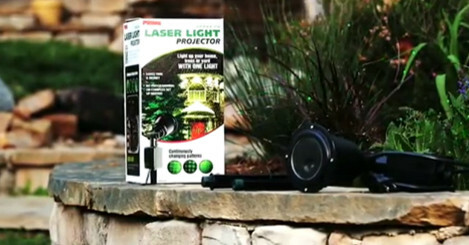 You can also decorate the outside of your home, yard, or your Christmas Tree with a Lighting Effects Laser Light Projector from Prime! An alternative to the hassle of stringing lights, a Laser Light installs easily and quickly, and covers the outside of your home with a dazzling red and green light display. Simply plug it in, aim the laser where you want, and cover your home or tree with a bright light display in a matter of minutes! And of course, check out our own selection of holiday decorating items, offering everything from string lights to angels, ornaments to tree stands. It’s time to get into that holiday spirit – so embrace it! You know what, this is a great idea. decorating not a easy thing to do. you need a creative mind for this.